This lovely piece has been in the back of my head for what seems like forever! 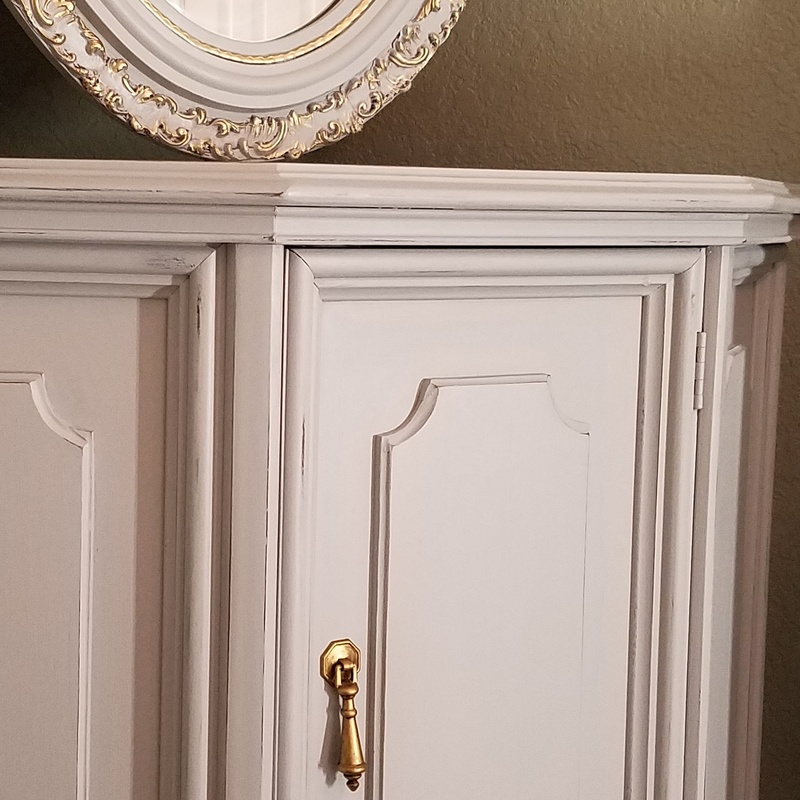 I bought the cabinet and mirror many months ago, and just haven't had an idea as to what color it wanted to be. Finally I stopped second guessing when I realized I had *just* the right amount of Paris Grey left! 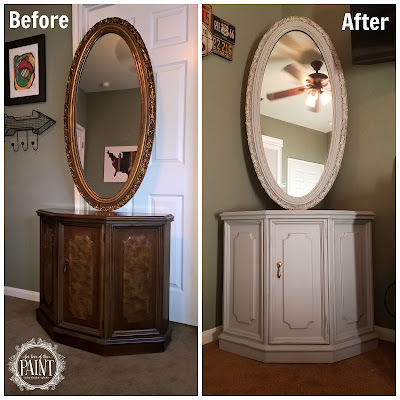 Those of you that use Annie Sloan Chalk Paint know that a little goes a long way :) so this was the perfect project. And here's a close up so you can see the trim detail. Isn't it lovely? 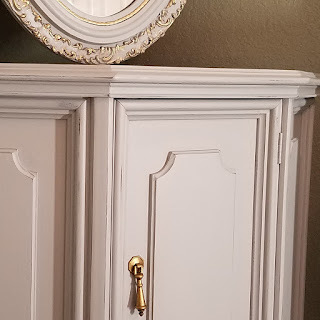 I have been totally obsessed with gray and gold lately!! It's very current, but also classic. What are your favorite color pairings? I'd love to see them and maybe give them a whirl!